Natural Remedies to Reverse Vision Loss: Fact or Fiction? Vision loss is one of the most frightening experiences any of us can imagine. Our sight is one of our most vital senses, and we are dependent on it in many ways we aren’t even aware of – until it goes away. Treatment options vary widely and depend on the underlying conditions causing the vision loss. They can include daily medication, prescription lenses, and sometimes surgical intervention. Many people experiencing vision loss hope to find a cure by turning to alleged holistic home remedies. But do these natural remedies have the power to stop vision loss? Let’s look at the facts. A quick online search brings up pages of information about herbs, supplements, eye exercises, and other natural remedies with supposed benefits for vision loss. Many appear on vaguely scientific or medical-looking websites, and some are even promoted by individuals claiming to be doctors! To complicate matters, many of these solutions can contribute to your overall health. Eating a nutritious diet and getting enough sleep is good for everybody, not just those experiencing vision loss. But it’s a big leap to suggest that simply introducing healthy habits into your daily routine are enough to reverse vision loss. sight, early intervention can make a difference. That’s why we encourage everyone to make their eye health a number one priority. Don’t rely on untested, unsubstantiated remedies to protect your precious sight. See your eye doctor regularly, and make sure to report any complaints as early as possible. We would never advise anyone against adopting a healthier diet or other positive lifestyle changes. However, at Florida Eye Specialists and Cataract Institute are sincere in our belief that eye health is nothing to gamble with. If you’re experiencing vision problems, we urge you to make an appointment with your ophthalmologist as soon as possible and get a full examination. Some kinds of vision loss can be reversed with medical intervention. Cataracts, for instance, can be corrected by removing the eye’s cloudy lens and replacing it with a clear, new synthetic one. In contrast, vision loss associated with glaucoma is impossible to reverse due to the long-term damage to the optic nerve. Should Natural Remedies Be Avoided? 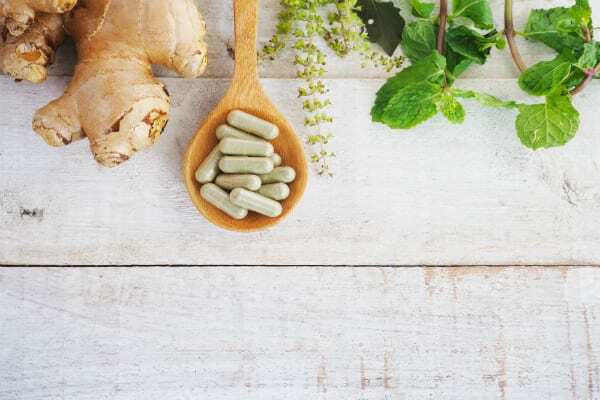 Many of the medicinal herbs and foods recommended for reversing vision loss have been staples of Ayurvedic medicine and other Eastern medicinal traditions for centuries. Many people swear by them. Doesn’t that mean there must be some validity to the claims surrounding them? The answer: We don’t know. There is a not a lot of formal research into the efficacy of most natural remedies for vision loss, which means we can’t recommend them as a primary course of treatment. However, if you’re inclined to take a natural remedy in addition to seeking professional treatment for your vision loss, we won’t discourage you. Just make sure to discuss your self-administered remedies with your doctor. If you are experiencing vision loss, or if you simply have more questions about eye care, contact us at Florida Eye Specialists and Cataract Institute. We look forward to hearing from you and take pride in helping you make your eye health a top priority. Please note that the above article was for informational purposes only and should not be considered a substitute for medical treatment.